Rated 5 out of 5 by minipal from Love this game!! This game is more than a match 3. You have to beat different opponents and there is a strategy to fill up weapons you need to beat the Greek Gods. I hardly ever play a game more than once but I have played this one over and over to beat my own score. The story was great, great graphics, Love it!! Bought it!! Rated 5 out of 5 by TeachumWell from Match 3 Meets Battle Planning-Wow! This is a deceptively simplistic ,match 3 because it's much more It's also a strategic puzzler of a fighting game. You've gotta plan your matches to maximize spell power, harm the opponents and gain healing 'cause those enemy spells really do damage as the game progresses. So why the 4 in graphics quality? The jewels to match are very pale and soetimes difficult to see especially on lighter backgrounds. But that's a very small quibble in a super game. Try it and you may not be able to stop 'til you've won! Rated 5 out of 5 by tamijohns from like the competitive match 3 play Really enjoy the game! Most match 3 games don't have the competitive feel to it that this one has. Rated 5 out of 5 by Oedesh from GREAT!!!!! A very great game!!! One of bigfishes classics!! Fun match-3 game!!!!! 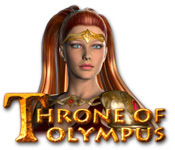 Rated 5 out of 5 by vickiebear from Throne of Olympus Match 3 game This is a very enjoyable game. The computer opponent gives an entirely different concept to the game. It is not as easy to win as you might think. 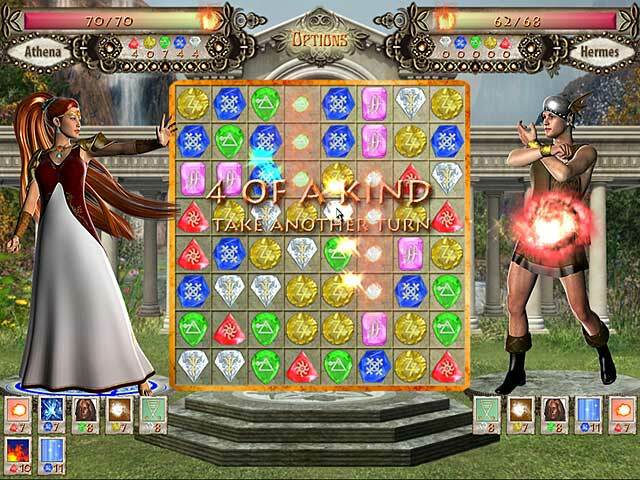 Rated 4 out of 5 by Rebr2009 from Enjoyable and challenging game Zeus wants to pass the throne to Athena, but the other gods do not agree. Athena has to fight with everyone, - Aphrodite, Heracles, Hermes, Ares, etc... to show them that she deserves the throne. 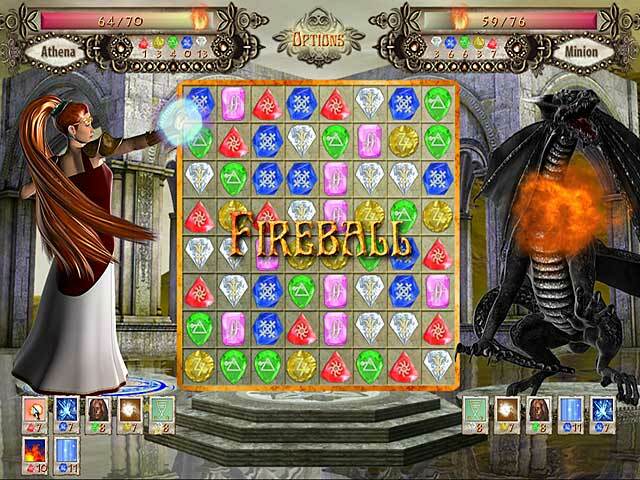 One by one comes to fight, and depending of the color of the stones you match, you will activate the weapons (fireball, bronze curse, ice blade, etc) earned between stages. Game is challenging, colorful and has gorgeous graphics. Good and pleasant entertainment!